Dejima / Deshima, Japan map in Atlas Van der Hem, introduction to, conference, symposium, Amsterdam, April 16, 2009, on the Atlas Blaeu , Van der Hem, Austrian National Library, Vienna , Hofburg square, Oesterreichische Nationalbibliothek, Wien, hi-res, high resulution, largeimages, large size files, discussion, Drs. 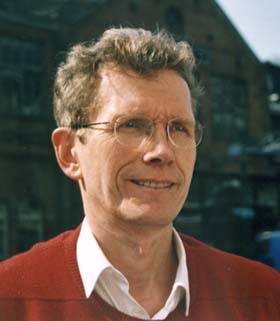 Kees Kaldenbach, private guide, scholar, lecturer, culture tours. Dejima / Deshima, Japan map from the famous Atlas Blaeu - Van der Hem, Vienna. Amsterdam, April 16, 2009 on the Atlas Blaeu – Van der Hem in the the Austrian National Library in Vienna on Hofburg square (Österreichische Nationalbibliothek, Wien). Images listed below are 4 images provided by the publisher. Map of Deshima, Japan. Dejima, 't eylant Schisma'. For centuries, Dejima was the only gateway for traffic between Japan and the West. 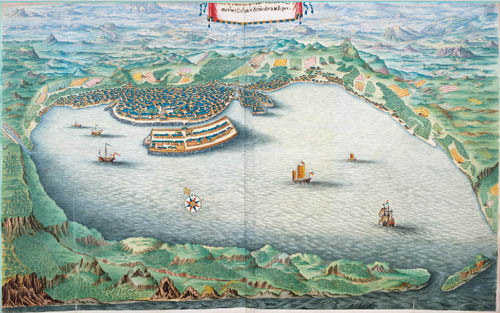 For more Atlas Van der Hem - Blaeu images click on the pages below. Images listed below are 4 images provided by the Publisher for promotional purposes (© ONB). NEW. For the first time on Internet: The Huber Birds eye view, 1777, of Vienna / Wien kept in the same building. Innocence Abroad: The Dutch Imagination and the New World, 1570-1670 by Benjamin Schmidt. Cambridge: Cambridge University Press, 2001. 450 pp. Note 2, map of Amsterdam with dots. 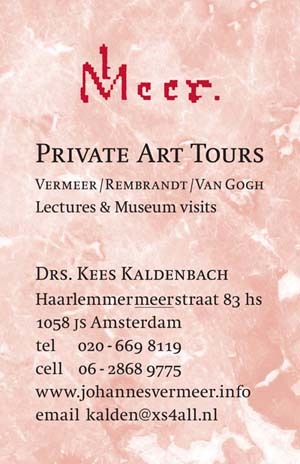 Contact information: Private Art Tours, Amsterdam.